Secret coordination? • Among other questions Utah Republican wants answered: Was there prior notice from Obama's White House? Chris Detrick | The Salt Lake Tribune U.S. Rep. Jason Chaffetz, R-Utah, speaks during the town-hall meeting in Brighton High School Thursday February 9, 2017. Washington • The day after President Barack Obama named Bears Ears National Monument, Bryce Canyon National Park tweeted out its exuberant support and noted that a spot for the monument&apos;s map had "long been held" at the park&apos;s front desk. An attached picture showed an empty slot, labeled "Bears Ears," between maps of Arches and Canyonlands national parks. The less-than-140-character message quickly drew the interest of Rep. Jason Chaffetz, a Utah Republican and head of the House Oversight and Government Reform Committee, who sent a letter to Bryce Canyon&apos;s superintendent, asking whether the park had prior notice from the White House of the pending monument designation. "The White House is telling the governor as well as the congressional offices that no decisions had been made  that it was still an open question  so how is it [Bryce Canyon National Park officials] were already ready to go with that information?" Chaffetz asked Tuesday. "The timing is serious." Obama named 1.35 million acres of public land as the new national monument Dec. 28  along with another monument in Nevada&apos;s Gold Butte  despite the protests of Utah Gov. Gary Herbert and all six members of Utah&apos;s all-Republican congressional delegation, as well as state and local leaders. Herbert said the designation "ignores the will of the majority of Utahns." Sue Fritzke, Bryce Canyon&apos;s interim superintendent who sent a formal response to Chaffetz earlier this month, said the park&apos;s Dec. 29 tweet concerning the new Gold Butte and Bears Ears monuments was an innocent gesture of welcome. "When we have another piece of land in the park service that is a close by, we will reach out and welcome them to the federal family," Fritzke said, "and let them know we are here and interested in connecting." The interim superintendent also noted that there was no coordination or communication between the park and administration officials about Bears Ears. Chaffetz said in an interview that the questions about Bryce Canyon&apos;s tweet are at the "very bottom of the list" of investigations he&apos;s launched as oversight committee chairman, but he noted he couldn&apos;t ignore the message from the national park because it could indicate the Obama White House misled Utah&apos;s elected officials. "Maybe they were just hopeful," Chaffetz said, "but they regularly complain about lack of resources and more money for maintenance budgets and this is a small item but I want to know if there was communication and were they being truthful with the governor and the delegation." 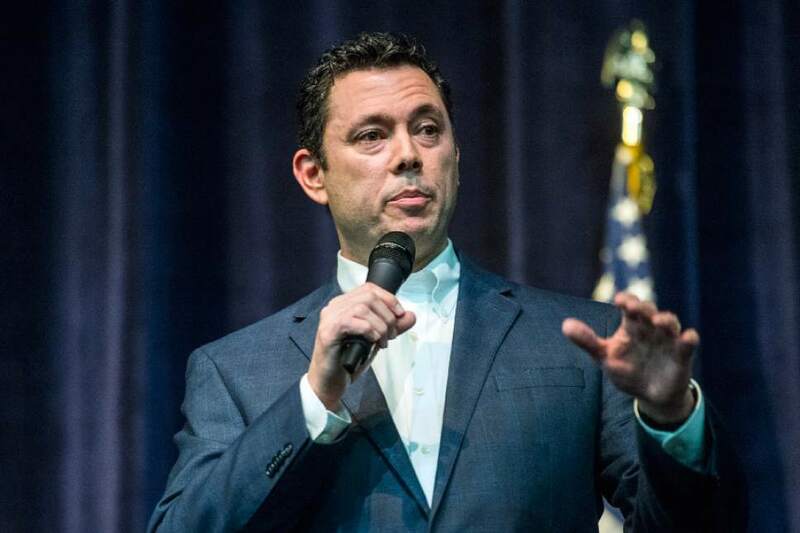 Chaffetz has come under fire from some Utahns who charge that he is not aggressively pursuing investigations into President Donald Trump&apos;s administration, specifically its ties to Russia and that country&apos;s meddling in the U.S. presidential election. The Utah congressman has asked the White House about whether classified materials were mishandled in an open dining room at Trump&apos;s Florida resort, Mar-a-Lago, about his former National Security Adviser Michael Flynn&apos;s arrangements with a Kremlin-backed news outlet and about leaks that led to Flynn&apos;s resignation. Chaffetz said Tuesday that the House Intelligence Committee is "best situated" to investigate Russia&apos;s interference in the election but that he hasn&apos;t closed any doors to possible Oversight Committee probes. In his letter to Bryce Canyon park officials, Chaffetz asked for them to identify any employees consulted about the Bears Ears designation and what communication they had; when the slot was created for the Bears Ears map and who decided to make one; and when park officials learned about the Bears Ears monument designation. In her Feb. 2 response, Fritzke wrote that no park employees were consulted or coordinated with any other agency regarding the Bears Ears designation, and she first learned of the Dec. 28 designation from news accounts. A park volunteer, however, created the Bears Ears map slot last summer as part of his assignment to reorganize materials at the visitor center information desk. The volunteer "saw a news report regarding the potential for a Bears Ears National Monument. He approached his supervisor, Supervisory Park Ranger (Interpretation) Cindy Donaldson about holding a brochure slot, and she approved it knowing that if the Bears Ears National Monument was not created, the slot could be used by another regional recreation area," the interim superintendent wrote to Chaffetz.